In the USA, we’re nearing the heart of the flu season, with pediatric flu deaths peaking during the next 6-8 weeks. Flu mortality during the 2015-16 season (which generally starts on October 1), the CDC has reported that there have been 11 pediatric flu deaths through 6 February 2016. This is a slight increase from the previous two reports. Now, I know some of you may say “only 11,” but since pediatric flu is mostly prevented with a vaccine, we could prevent these 7 deaths. Moreover, it’s early. 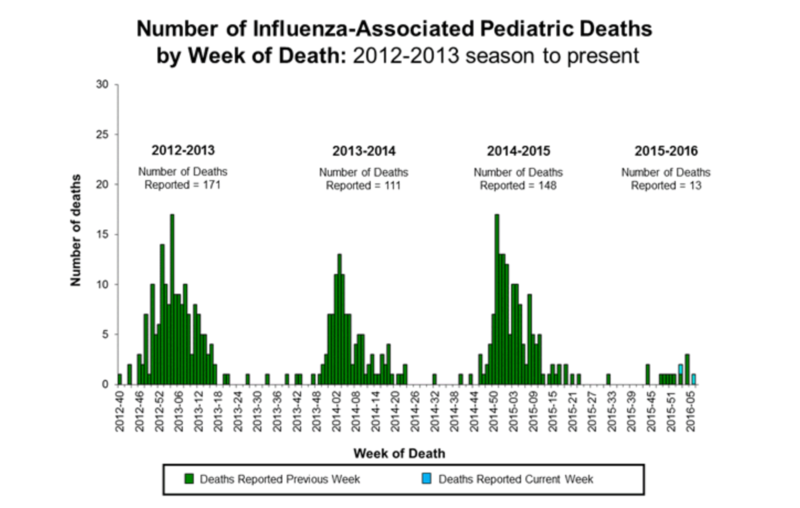 During the last 3 years, there were 171 pediatric flu deaths in 2012-13, 11 in 2013-14, and 148 in 2014-15 – most of the pediatric flu deaths happened after this week. 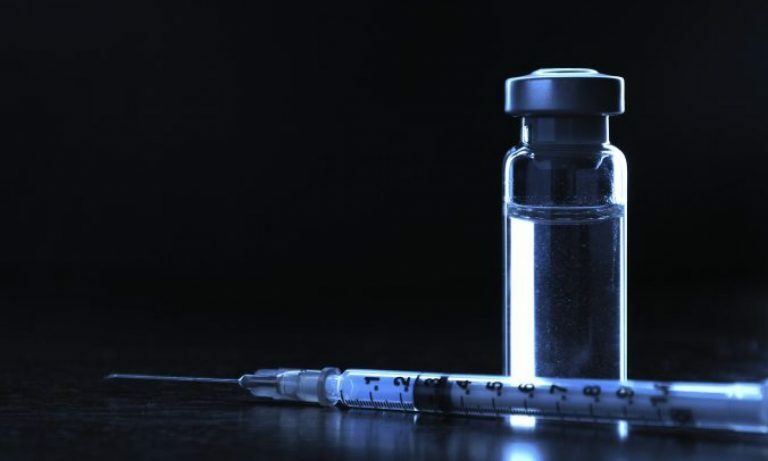 In fact, according to CDC reports, the influenza-B strain is more prevalent this year than in the past, and the flu vaccine is more effective against B strains of flu. So, it’s possible (though still early) that the lighter flu season can be attributed to vaccines. CDC report of Pediatric flu deaths through 6 February 2016. Most people, including children, will recover from influenza within a few days to less than two weeks However, some individuals will develop complications (such as pneumonia) as a result of the flu – many of these complications can result in hospitalization, and, in the most serious cases, might result in death. Although I have focused on children, because they can be most at risk for flu deaths, the data is much more scary for the broad population. Pneumonia and influenza (P&I) mortality, combined because it’s often difficult to separate pneumonia deaths from diagnosed influenza deaths, remains quite high. For the week ending January 23 January 2016, 1,861 of 27,158, 6.9%, of all U.S. deaths were classified as resulting from P&I. Nearly 1900 people have died from flu this season, so that should be even more evidence for adults to get their flu vaccination. Russell K, Blanton L, Kniss K, Mustaquim D, Smith S, Cohen J, Garg S, Flannery B, Fry AM, Grohskopf LA, Bresee J, Wallis T, Sessions W, Garten R, Xu X, Elal AI, Gubareva L, Barnes J, Wentworth DE, Burns E, Katz J, Jernigan D, Brammer L. Update: Influenza Activity – United States, October 4, 2015-February 6, 2016. MMWR Morb Mortal Wkly Rep. 2016 Feb 19;65(6):146-53. doi: 10.15585/mmwr.mm6506a3. PubMed PMID: 26891596.